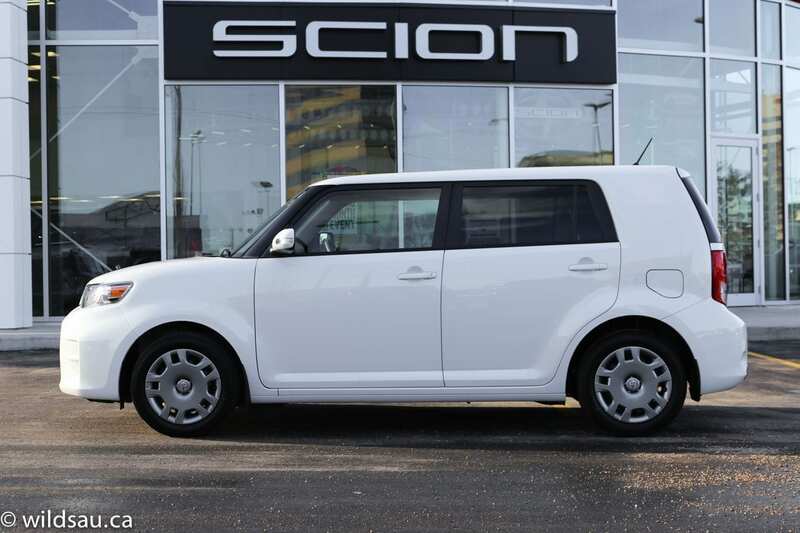 The 2014 Scion xB is a pretty unusual vehicle. The styling sets it apart, and frankly you won’t see a lot of these out there. But it’s a vehicle that could make quite a bit of sense for quite a few people. The one I reviewed was the limited edition Release Series (RS) 10.0. There are only 1500 copies for world-wide consumption – this one is number 1148 out of 1500 – and only 50 of these are available in Canada. 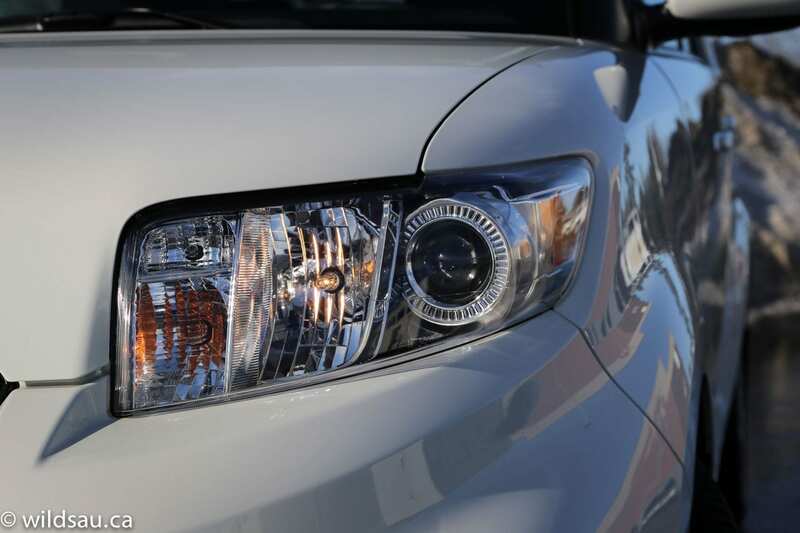 The first thing I noticed about this special edition xB was the Electric Quartz paint – it’s a glossy pearl finish with subtle green highlights and looks pretty funky, especially in the direct sunlight. OK, actually that’s not true. The first thing I noticed was the shape. The xB looks like nothing else out there. 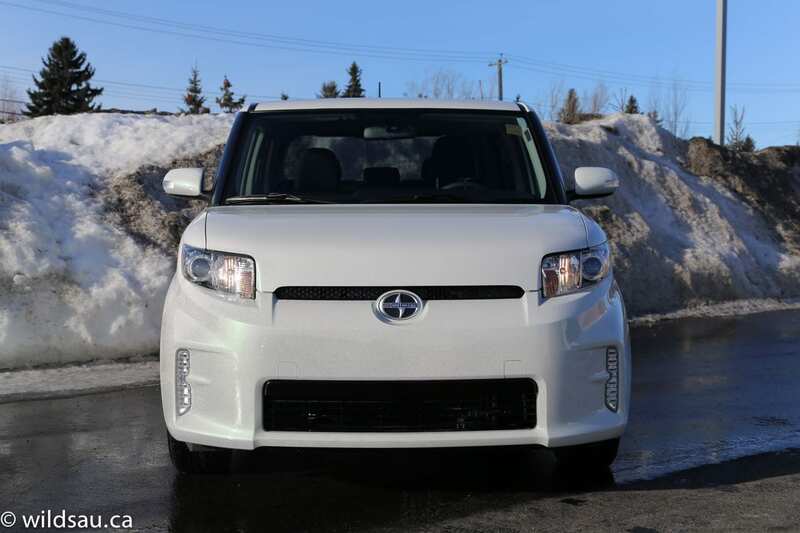 While I think that Scion might be trying a little too hard with the xB’s boxy profile and blunt snout, and I think it’s kind of a love it or hate it thing. I’m a wagon/van/hatchback kind of guy, so the shape works for me, because I know it’s going to result in some serious space inside. 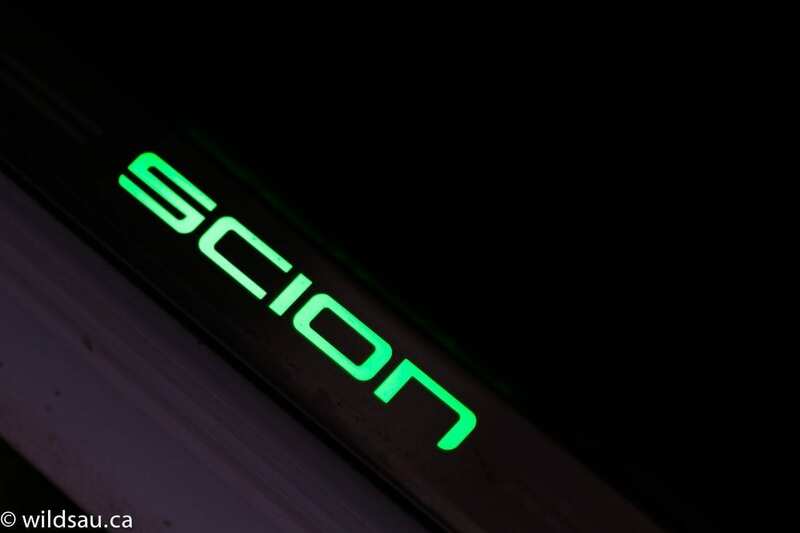 Scion has tried to sport things up with some vertical LED accent lamps in the lower front bumper, and as you approach the car from the rear, you’ll notice the Scion logo projected onto the ground behind the vehicle – in bright green no less. 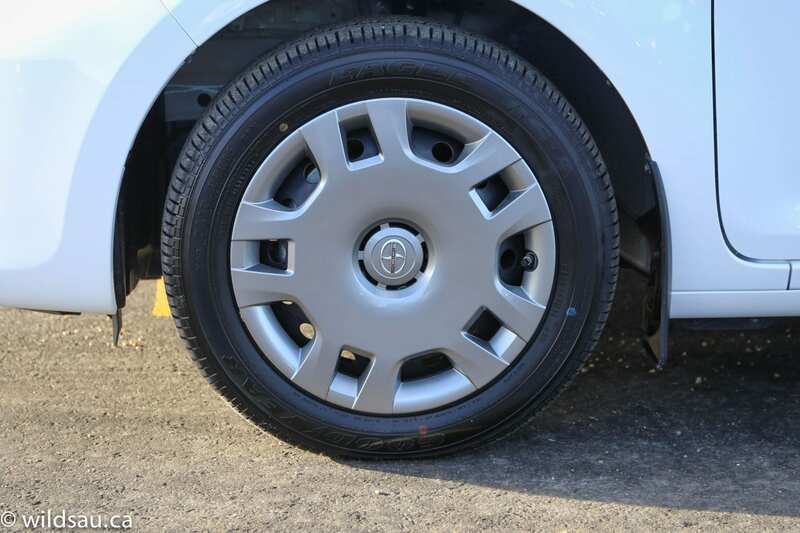 Rubber is 205/55-sized, and sits on 16-inch steel rims with “Dark Metallic” wheel covers. While the claim is that the wheel covers are a special edition colour, the xB screams for a wheel upgrade and looks much better with some spicy rims. As I said, the outside shape should hint at what’s waiting inside – and that’s a very spacious cabin with ample headroom. I wasn’t disappointed. Getting in, I found an interior that feels large and open. The design is a bit gimmicky, and a tad cluttered, but overall, everything works. You’ll find hard, black plastics everywhere and that’s typical for this category. Yes, some parts of the dash get a little pattern which offers slight textural relief, but this does little to combat the sombre black look. 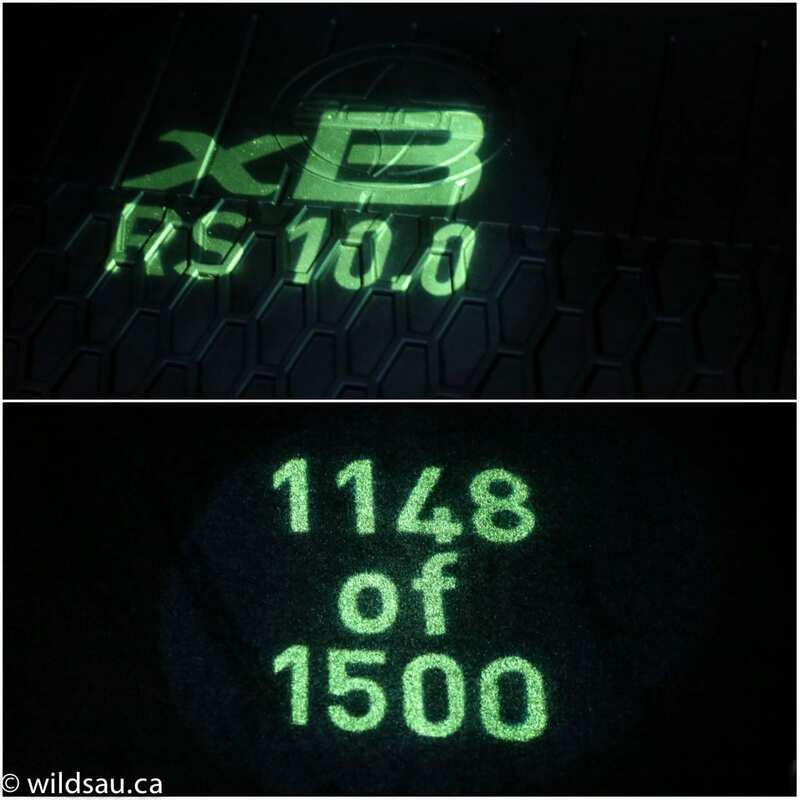 Something that does brighten up the dark interior are the projected Release Series light stamps beamed onto the front floor mats. Another splash of fun is the seat fabric. The fun seat fabric pattern looks like it’s out of the Matrix movies and is repeated on the upholstered door panels. Those thrones are manually adjustable and are quite comfortable, and even offer reasonable bolstering. You sit quite upright, but this in turn affords you a commanding view of the road ahead. It feels more chair-like if you will. 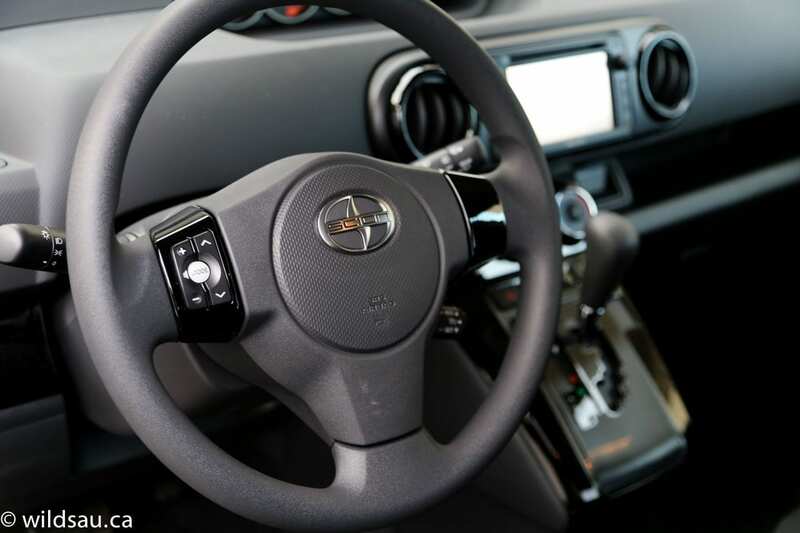 The steering wheel feels pretty pedestrian, with a couple of audio controls, but I found it was angled forward quite aggressively and sometimes I felt like I was driving a school bus. The xB’s centre gauge cluster which is not my favorite arrangement but it works pretty well. 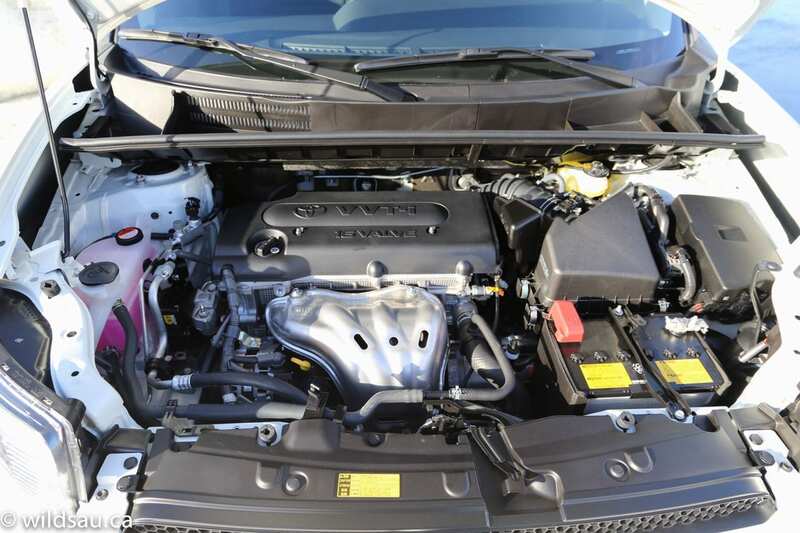 The key information you need to glean quickly is your vehicle’s speed, which is pretty easy to see – everything else does take a second to find as you glance over. 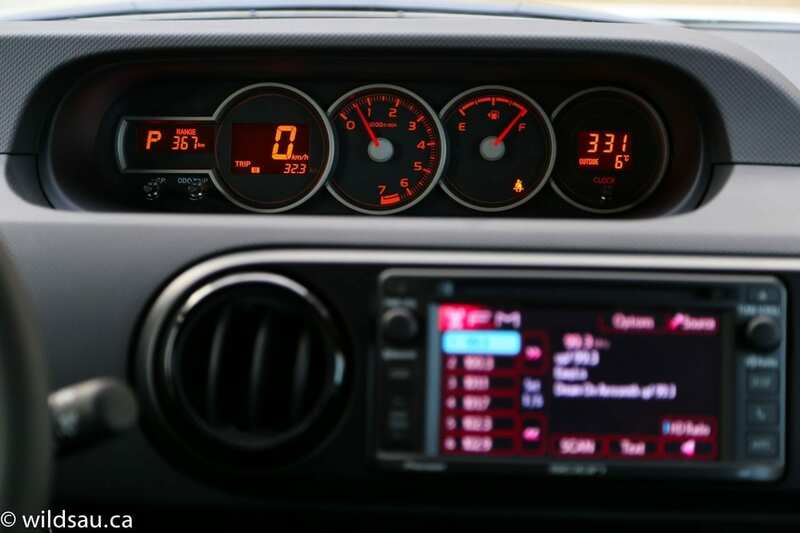 The cluster contains, from left to right, a driver information screen, digital speedo, tach, gas gauge and a clock. 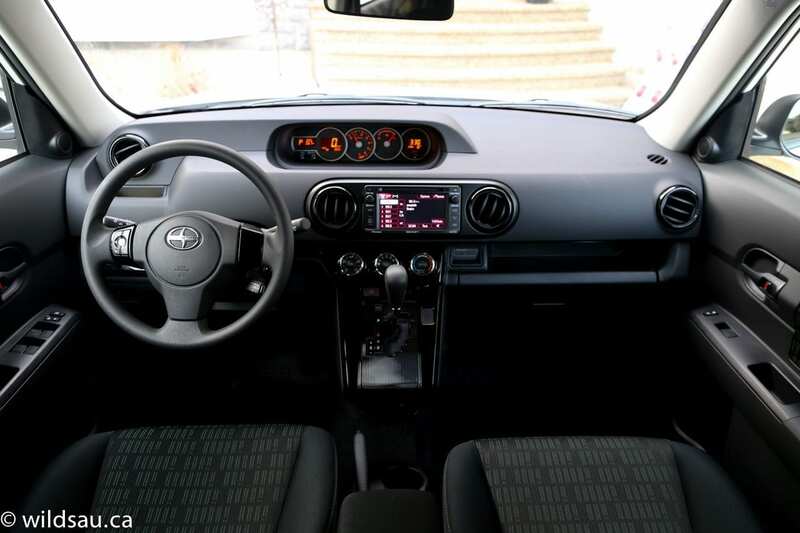 The dash is home to a 6.1-inch touchscreen that handles audio (sources are AM, FM, CD, USB, auxiliary and Bluetooth streaming) and phone functions. The interface is easy enough to work with and there’s a backup camera as well. Underneath the climate control is an angled part of the lower dash which houses the gear selector. There’s a 12V plug below that, but it’s kind of hidden. A simple floor console in the middle is where you’ll find your cupholders, a traditional parking brake lever and an armrest. A cool touch that can be found inside the armrest – a wireless charging tray for your phone. The purchase of this car also includes a voucher for you to order a wireless charging case for your phone. The RS 10.0 package also nets you some themed floor mats and a snazzy illuminated door sill scuff plate. As you’d expect, there’s plenty of headroom in the back too, and yes, decent leg room. 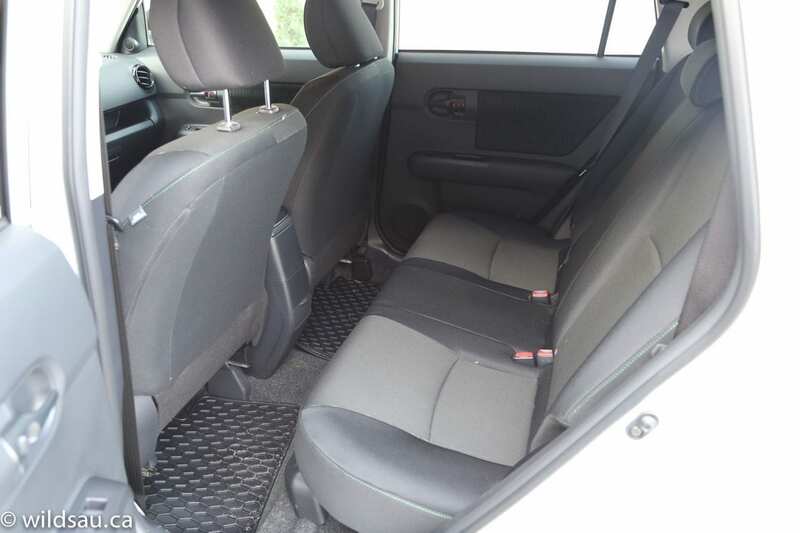 The rear seating area is a pretty simple affair – three seats, each with a seatbelt and a headrest and a dual cupholder that folds out of the rear of the floor console. That’s about all that’s going on back there. I wouldn’t go so far as to call it claustrophobic, but the high belt line makes for a pretty cozy space. Our three kids were reasonably comfortable width-wise and in terms of foot space (thanks to a flat floor in the back), and there are two sets of LATCH child seat anchors if you’ve got little ones. 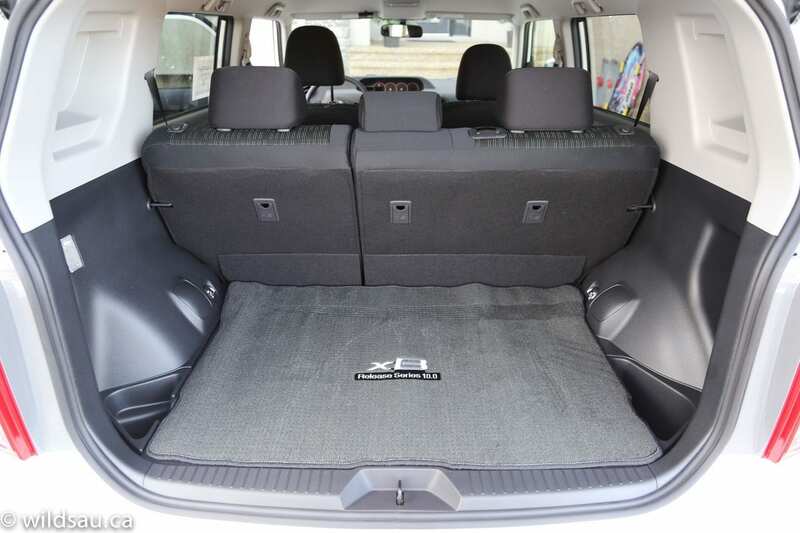 The xB has a number of little bins for putting stuff in around the cabin, as well as a handy shelf above the spacious glove compartment. The trunk doesn’t sound big on paper at 329 litres but it’s easily accessible space thanks to the large opening and the high load floor. There is also a small amount of underfloor storage with some foam organizer trays. 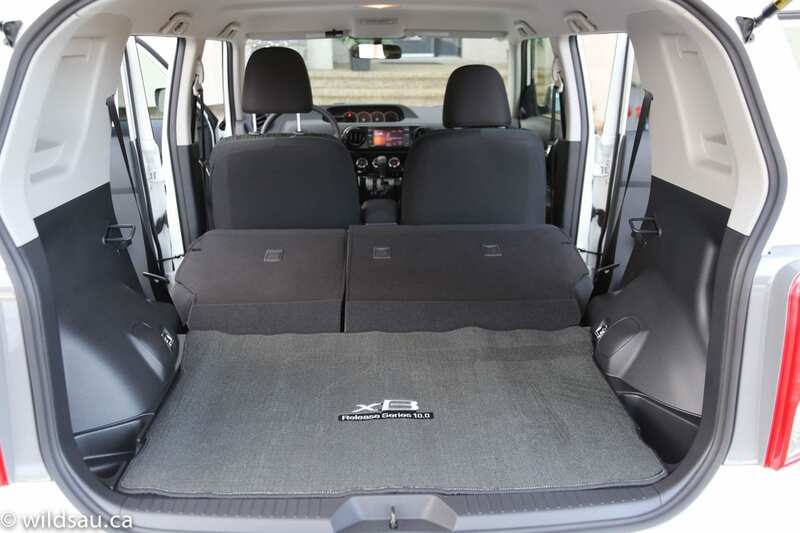 The rear seats fold flat (in a 60/40 split), making for a cavernous cargo space – Scion doesn’t tell us how big that space is though. There’s not a lot of excitement here, but that goes for every single vehicle in this category. 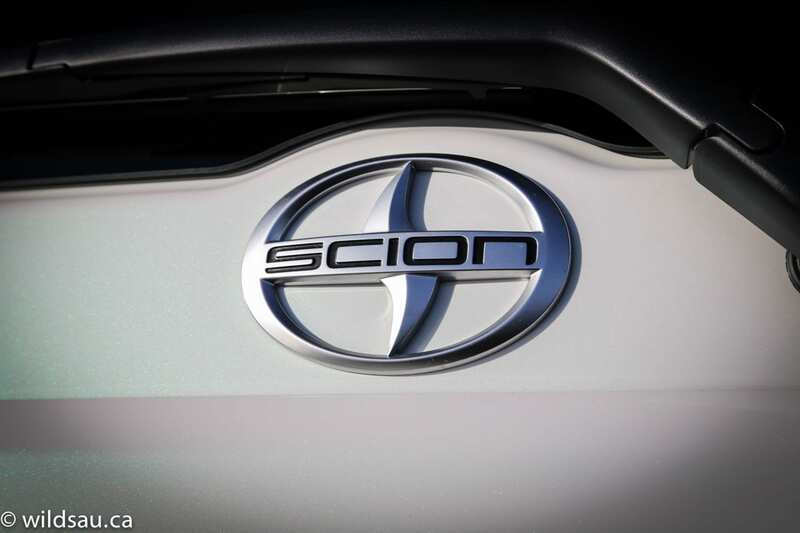 Scion goes with a 2.4-litre 4-cylinder that puts out 158 horsepower and 162 lb.ft of torque. 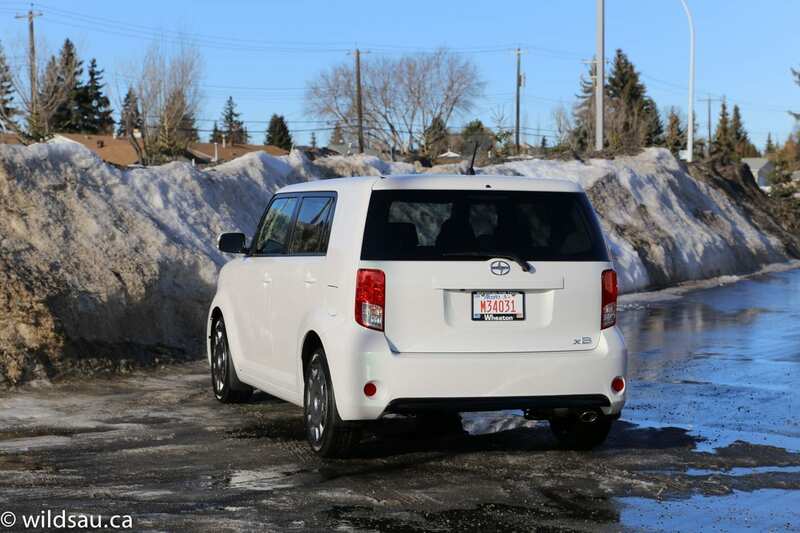 The xB is front-wheel drive and gets what seems like ancient technology – a 4-speed automatic. Fuel economy isn’t thrilling, to be sure, at 10.9 L/100 km (22 US mpg) in the city and 8.5 L/100 km (28 US mpg) on the highway. We averaged 10.7 L/100 km (22 US mpg) during our week of slow commuting, occasional freeway sprints and a short jog down the highway. Not great, but not horrifying either. The 3085 pound (1399 kg) xb is motivated sufficiently by its drivetrain. Off the line, the xB actually has plenty of get up and go and I found that it had enough power for all driving situations, including holding its own on the highway. It’s not a passing-lane monster, obviously, but it doesn’t try to sell itself as one either. 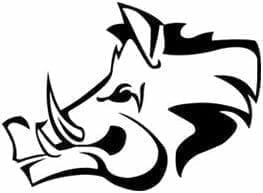 Once you’re on the move and need to step up the revs to access some more of the engine’s power, the transmission doesn’t like to downshift quickly but it gets there eventually. 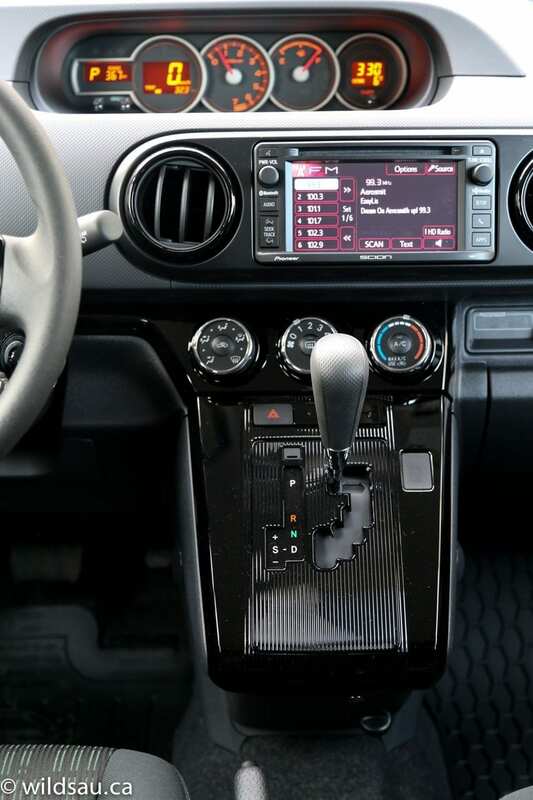 The transmission has a Sport mode which will hold gears longer and it offers manual shifting using the gear selector. Shifts are actually quite smooth, but of course since there are only four gears, it takes a while to get through them, and the lack of ratios would be partially to blame for the lower-than-expected fuel economy. 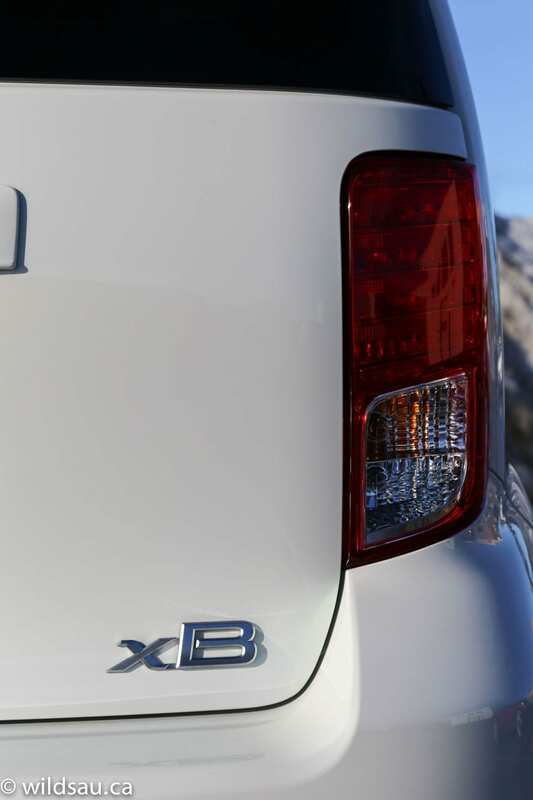 I thought that the xB rides quite nicely, although it occasionally lurches over bigger dips or bumps. Handling is lacklustre (that’s not helped by the heavy but numb steering) although the vehicle does tackle corners competently enough. 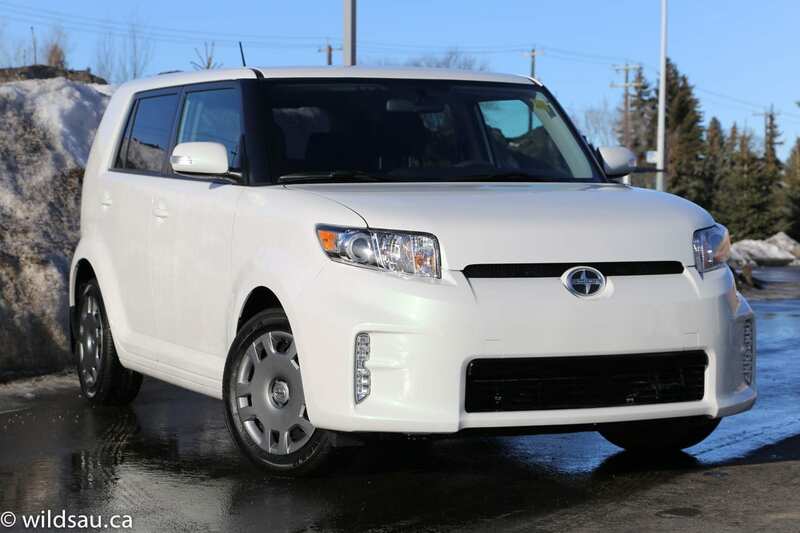 The xB is a tad noisy, which is acceptable in this price category. I found myself hearing the engine, the road and the wind at different times, but overall, the noise levels are acceptable. Visibility is decent, however you will occasionally find those large rear pillars getting in your line of sight. Scion gives the driver a great dead pedal which I really appreciate. A little detail oft missed in other vehicles. Speaking of pedals, I found the ones in the xB are placed a little too close together. Of course this is specific to each driver, and I do have wide feet, but I often found myself bumping the brake pedal while on the gas, and I don’t think that’s ever happened to me before. Something to look out for if you’re test driving one. 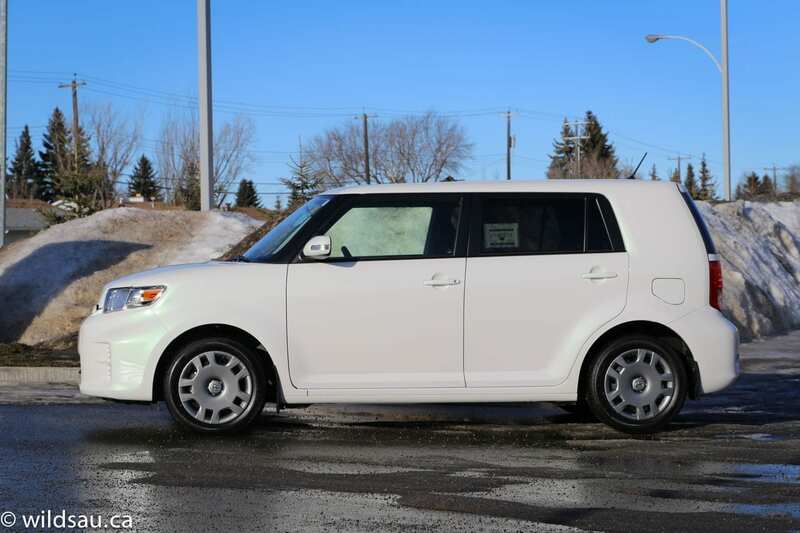 While the Scion xB’s competent but somewhat dull chassis and outdated 4-speed automatic will give driving snobs pause, the quirky and unique styling inside and out (not to mention a spacious interior that gives the xB utility to spare) are exactly what many buyers are after in this price range. I do wish it would get better fuel economy, but when all things are considered, the xB turns out to be quite a value proposition. 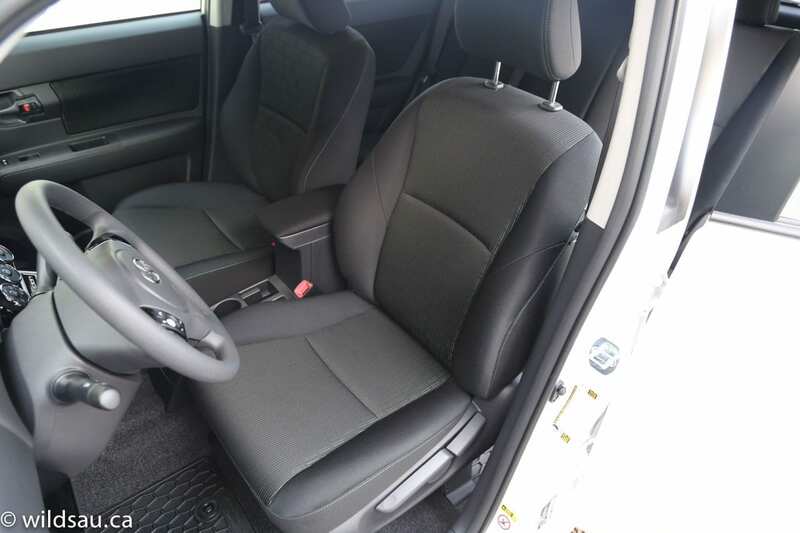 I wonder if many of the folks walking into a Toyota dealership looking for the latest and greatest Corolla wouldn’t find more utility in the Scion xB sitting right there next to it. It has more space inside and in the trunk, a more powerful drivetrain and plenty of character on the road. 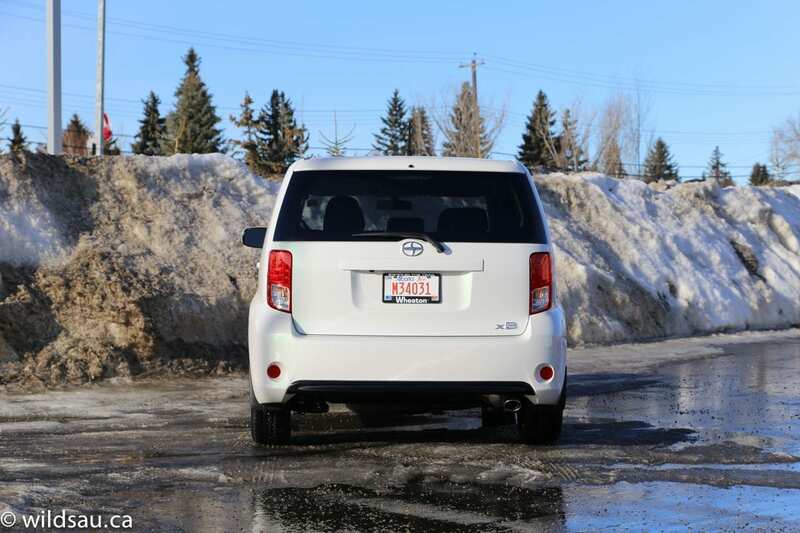 Not to mention that it’s a Scion, so it’s still got all the Toyota reliability built in. WAF (Wife Acceptance Factor) was middling. She thought it was a bit too much with the interior styling – like me, she’s not a fan of the central gauge placement. But she thought it rode very nicely and had enough power for her, and she loved how much room our kids had in the back. Disclosure: Vehicle was provided by Toyota On The Trail.